This gallery contains photos of various plants, flowers, and fungi I have seen primarily around central Florida, but some photos are from elsewhere. Specimens were found in natural areas unless stated otherwise. 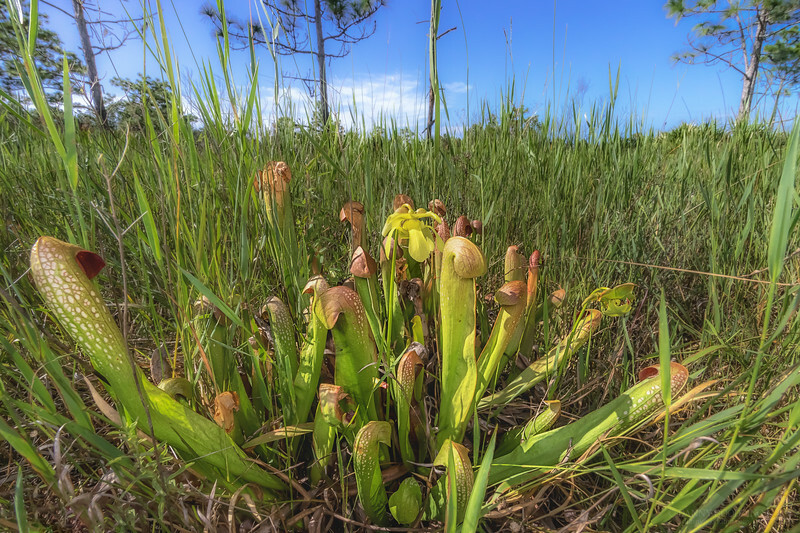 The hooded pitcher plant (Sarracenia minor) is a carnivorous herbaceous plant found in swamps and ephemeral Wetlands in four states: Florida, Georgia, South Carolina, and North Carolina. It is listed as threatened in the state of Florida. The individuals I spotted at Split Oak yesterday had flowers in bloom.